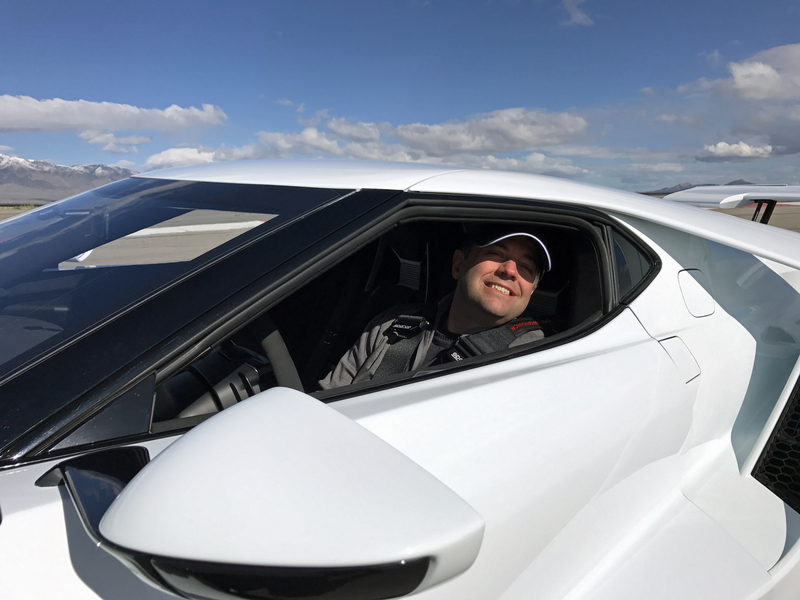 The next day I was up early, driving my Ford GT from Salt Lake City back to Utah Motorsports Park. After a short discussion, consisting mostly of Ford’s representatives telling journalists not to crash the highly-advanced Ford, I was handed a set of keys to a Frozen White GT riding on carbon fiber wheels. Getting into that car, starting the engine and driving it to Turn 1 of the race course for shooting with Doug was surreal. I had been thinking about the car almost daily since it debuted in January of 2015. Now I was among the first non-Ford employees to drive one. 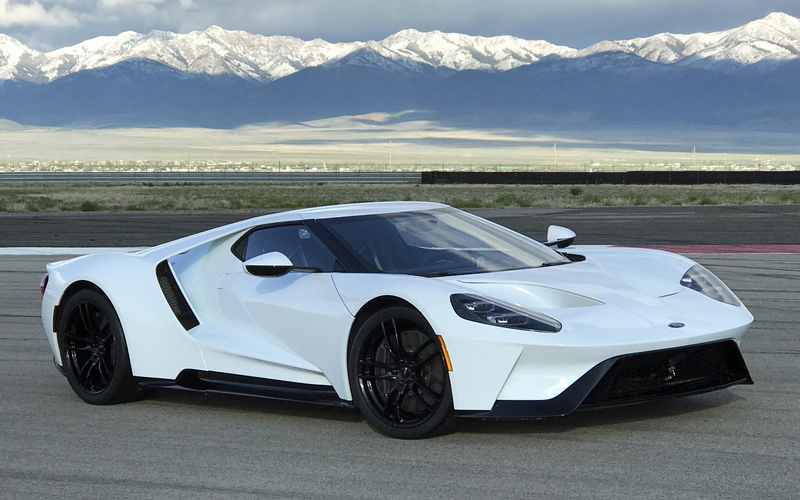 Even before starting the car it was clear the new Ford GT is a focused performance machine designed for track duty. The tight interior quarters. The sweeping body panels. The purposeful control placement. Hitting the engine start button further validated that impression, with the 3.5-liter V6’s exhaust note an undiluted burble at idle, ramping to a baritone shout as the engine revved up. By the time I got to Turn 1, maybe 200 yards from the pit area, I could already tell it was a very special machine. 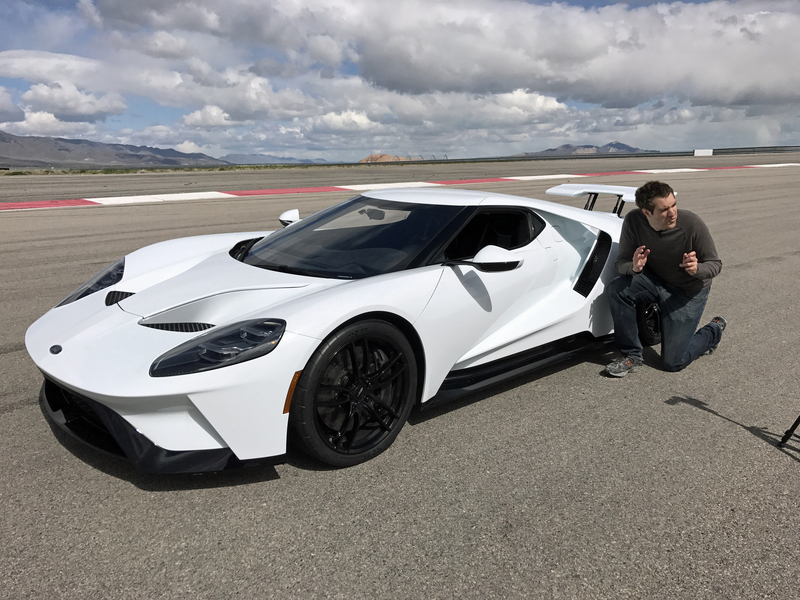 Over the next 2 hours, as Doug shot the new Ford GT’s details and stand up commentary, I circled the car while shooting still images and taking in its complex body form. I’d never seen any vehicle like the new Ford GT. Its form screams performance, with aggressive aerodynamics clearly meant to both slice and leverage air as it travels at 200-plus mph. 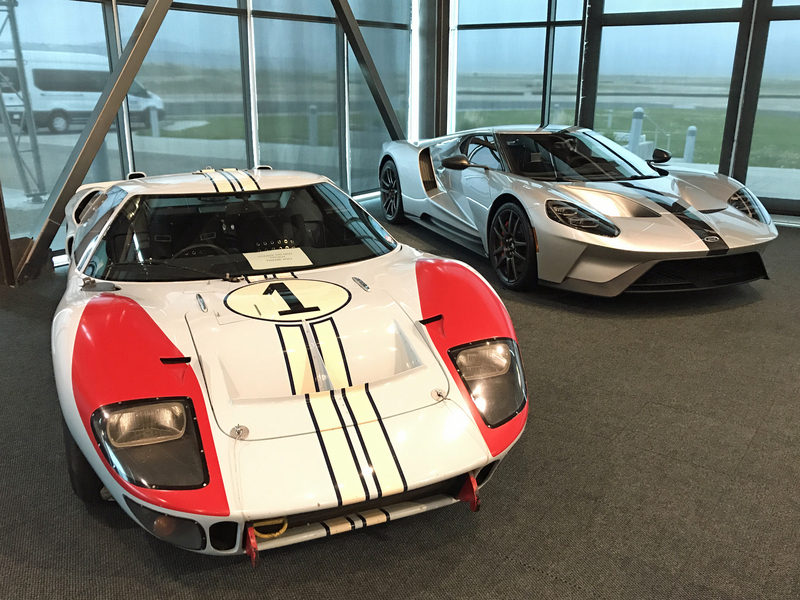 The thought of owning one was never dull, but hearing, feeling and driving the new Ford GT made the concept more real and thrilling than I expected.